We manufacture high quality, wear resistant screws for Extrusion, Injection Moulding, and Compounding. We manufacture high quality, wear resistant barrels for Extrusion, Injection Moulding, and Compounding. We refurbish screws for Extrusion, Injection Moulding, and Compounding. We refurbish barrels for Extrusion, Injection Moulding, and Compounding. Looking for a quality engineering company for your next project? The Screw and Barrel is the core processing component for most plastic and rubber manufacturing processes. 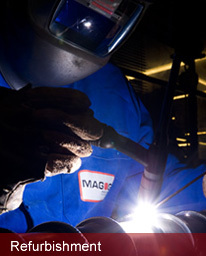 MAGOG have for over 50 years served the Plastic Rubber and other specialist industries with the design, manufacture and supply of Extrusion, Injection Moulding, Blow Moulding, Preform and Compounding screws, barrels and precision components. Our depth of process knowledge, manufacturing expertise and engineering excellence have ensured we maintain our position as a leading supplier of specialist parts and services to the industries we serve. We work with companies to improve processes and production levels over a wide range of applications. Our services and products extend from repairs to damaged parts, through to design and development of screws for customers unique process and production requirements. We can provide onsite Engineering Services for condition monitoring, process audit, screw and barrel fitting and on site emergency repairs carried out by trained and experienced technicians. We offer a range of specifications to ensure we can provide the most appropriate configuration of Screw and Barrel to meet the most demanding of process applications. One of our key specialisms is 'Screw Wear Resistance'. 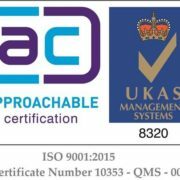 We achieve this not just by providing specifications that give rise to the benefit, but through our extensive technical expertise. We are frequently able to identify issues within the design of the screw(s) that contribute to the excessive wear rate caused by the abrasive, and or corrosive nature of the polymer being processed, and then provide a revised design that will solve the problem of rapid and premature wear. 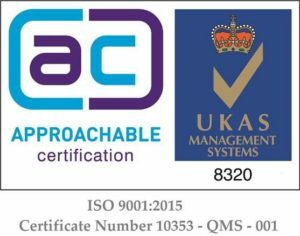 MAGOG are proud to be associated with many of the UKs leading Polymer product manufacturers as well as many smaller specialist companies with whom we have established long term partnerships for the supply and service support of their processing equipment. Over the past 50 Years we have worked in many of the plastic, rubber and other specialist industries where Screw and Barrel configuration are used to process, melt, mix and convey. © 2018 Magog Industries Limited. All rights reserved.